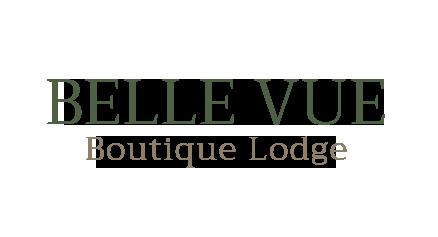 Belle vue Boutique Lodge suites are decorated with absolute luxury and perfection and will take your breath away as you step into your suite. Liz and Steve will treat, spoil and give you an experience you will never forget, leaving you excited to plan the next opportunity to visit again. We will share with you, stunning decorations, fittings, bedding and luxury towels and fine dining experience, not to mention the truly spectacular views from you own private balcony through the French doors of your suite. Our Bed and Breakfast is situated on an acre of perfectly private gardens, native bush and trees and manicured lawns, whilst sharing this space with our native birds, the tuis will entertain you as they sip the nectar from the blossom trees, or you may prefer a game of petanque or croquet on the lawn with a New Zealand wine and cheese platter on the veranda. Take a short stroll to the beautiful lakefront for a fresh water swim then wonder back for a shower in your beautiful bathroom, before experiencing a four course New Zealand taste sensation in our dining room (open mid 2017). Belle vue Boutique Lodge is just minutes to the township of Taupo and a short drive to all the attractions Taupo has to offer. We have a designated dining room, where we will treat you to a complimentary, European continental breakfast between 7.30am and 9.00am. Out of this time, you can arrange with your hosts for suite delivery. We also offer evening dining (open mid 2017), four courses of New Zealand’s flavours. A must! Pre booking essential. Taupo is the central tourist hub of New Zealand, from summer through winter, always something to do here from trout fishing, hiking in the World Heratige Site, Tongariro National Park, thermal hot springs, snow skiing, water skiing, horse riding, wine tasting, golf at the famous Wairaki Golf Course, quad biking, scenic cruises and flights, skydiving, motor racing, jet boating to the famous Huka Falls, Bungee Jumping, or just relax with a wonder around Taupo's boutique shopping centre and enjoy a cappuccino or two at one of our magnificent local cafes. Original generation time 1.9004 seconds. Cache Loaded in: 0.0354 seconds.